Photo from Lanao del Sur Alliance for Good Governance (Laggo) Facebook page. 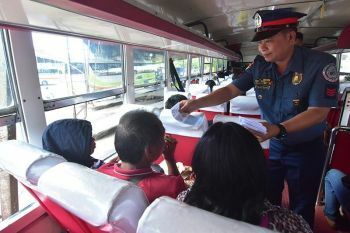 PRESIDENT Rodrigo Duterte skipped on Friday, April 12, the campaign sortie of his ruling political party, the Partido Demokratiko Pilipino-Lakas ng Bayan (PDP-Laban), in Marawi City, Lanao del Sur. 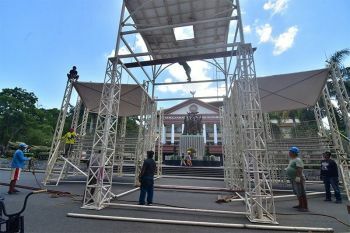 Duterte was expected to grace the PDP-Laban's campaign rally in Marawi City, but the Presidential Security Group started removing the presidential podium and the bulletproof glass after the introduction of administration's senatorial bet Francis Tolentino. Duterte's former special assistant and now senatorial hopeful, Christopher Lawrence Go, also left the event right after delivering a speech before the audience in Marawi City. In a chance interview with reporters in the war-torn city, Tolentino said he is not privy to the President's reason for skipping the campaign rally of the PDP-Laban. Tolentino, however, guaranteed that Duterte's health condition has nothing to do with the latter's absence. "Hindi ko alam yung reason kasi kagabi magkasama pa kami sa Bacolod. Pero medyo late na 'yun eh. 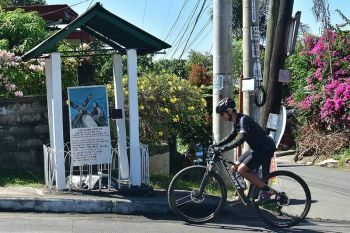 Hindi ko alam kung anong nangyari," he said, referring to the PDP-Laban's campaign sortie held Thursday, April 11 in Bacolod City. "So nothing to worry about. Usual naman yun eh. Dalawang beses nang nangyari yun. Meron nang isang previous event (That's usual. It happened twice. There's a previous event he also missed)," he added. Malacañang has yet to release an official statement regarding Duterte's absence in the latest event of his political party. On March 15, Duterte also skipped the PDP-Laban's campaign rally in Davao City due to a headache. 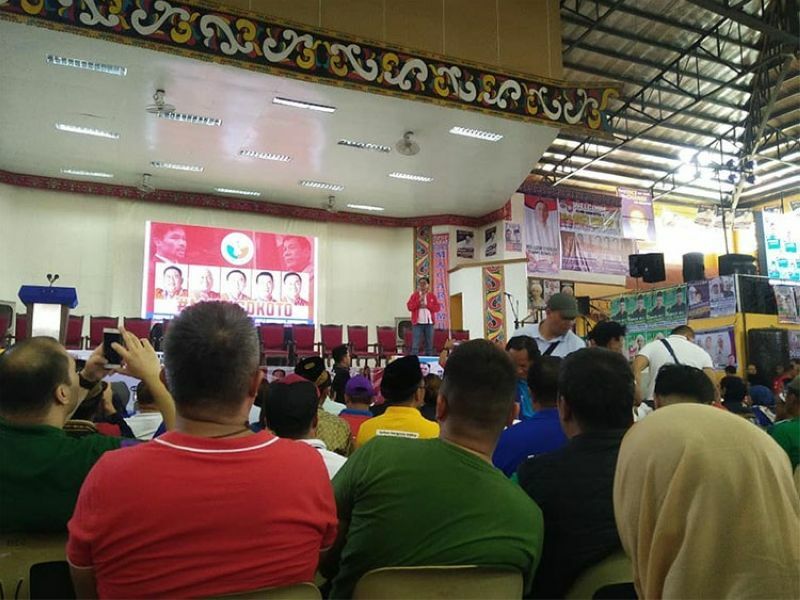 Prior to his second time of skipping the PDP-Laban's event, Duterte attended Thursday the same event in Bacolod City. On Saturday, April 13, the President is scheduled to grace his political party's campaign rally during the Kaamulan Festival in Malaybalay City, Bukidnon. On October 4, 2018, Duterte announced that he had repeated his endoscopy and colonoscopy, hinting that his Barrett's esophagus has gotten worse and might have developed into cancer.